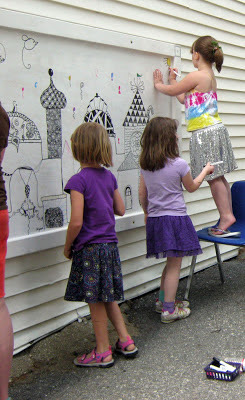 We started work on a fabulous Zentangle-y mural yesterday as part of our town's Spring Into Warner event. 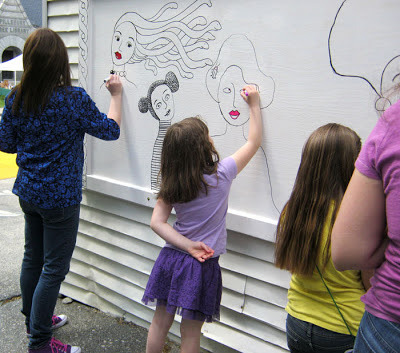 To see lots more photos, take a look at my Studio BeeHive blog post. If you wish you could have been there... there's still more to do! May 24th and 31st from 3-5pm and finish work on Sat. June 8th from 11am on. It's really FUN!